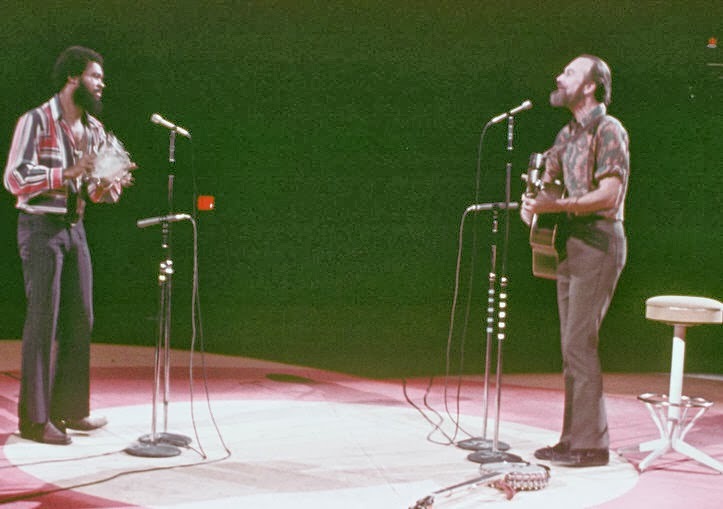 Pete Seeger, the great folk singer, died yesterday at the age of 94. There are many tributes to him, including this one in the New York Times. I actually met Seeger once. 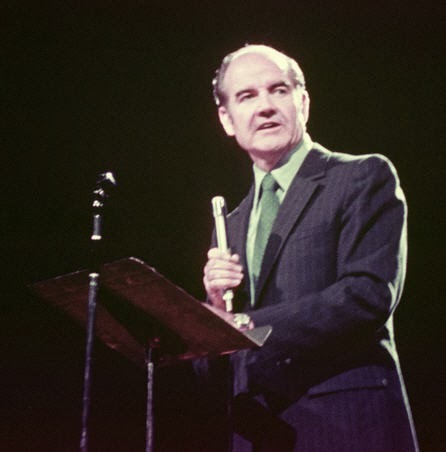 I was attending the national convention of Lutheran youth (Luther League) at Madison Square Garden in 1970, and Seeger was on the program, and sang for us (15,000 teenagers) with Jim Collier. I found the photo (online here) above, which shows one of the moments of that performance. Somewhere during there performance, Seeger invited everyone to come down to his sloop, the Clearwater, which was docked at a pier on the Hudson side of Manhattan Island. As part of a tour that some of us were given during this convention, we stopped near his dock and had to walk a little ways to get to his boat, but we did get there and, low and behold, Seeger was there, too. He invited us onto the deck of the Clearwater, and I got to shake his hand. He was nice and friendly. I don't recall what he said, but it was a moment that I've never forgotten. Sarah Kwak, the concertmaster of the Oregon Symphony, was outstanding in her debut on January 18th as the featured guest artist with the orchestra, playing Henryk Wieniawski’s Second Violin Concerto to perfection. The orchestra also unleashed a scintillating performance of Jan Sibelius’s First Symphony and also gave its first performance of Detlev Glanert’s “Shoreless River.” It was another superb showing at the Arlene Schnitzer Concert Hall by the orchestra, which continues to play at a top tier level under its music director Carlos Kalmar. Besides being one of the great violinists of the 19th Century, Wieniawski somehow found time to fit composing into a demanding schedule that involved teaching and performing in Europe and Russia. His Violin Concerto No. 2 in D minor is considered the most popular of the two violin concertos that he wrote, and with Kwak, in her performance, gave it a masterful interpretation. She shaded the melodic phrases in all sorts of engaging ways: from sleek and graceful to thicker and more robust. She impeccably fired off passages filled with double-stops and rapid, staccato notes. The gypsy-imbued rhythms and themes were spirited and a real treat to hear. The orchestra’s rendition of Sibelius’s Symphony No. 1 was so outstanding that it practically gleamed. Whether it was an exposed solo, a small ensemble in one section or across sections, or the entire orchestra, it seemed that all of the musicians played at the highest level possible. Starting with principal clarinetist Yoshinori Nakao’s solo that created a sense of longing, floating lines from flutes, a rushing tide of sound by trumpets and horns, a dramatic combo of timpani and pizzicato-ing violins, the first movement was loaded with terrific sonic thrills. Highlights from the second movement included the melancholic lines from the violins, the fleeting and pensive solo by principal cellist Nancy Ives, the playful sound from the woodwinds and the brilliant sound of the brass section. The third movement was accented by furious plucking sound form the cellos, a soulful cry from the horns, and a bold statement from the brass. The entire orchestra created a tragic atmosphere in the fourth that faded out until only the bass violins were carrying the weight of it all. The final calm passage and transition into a stormy and defiant ending was mesmerizing. The concert began with “Fluss ohne Ufer” (“Shoreless River”), a new work by German composer Detlev Glanert, which received its premiere in 2009. It is a very moody and impressionistic work. Tubular bells followed by extremely quiet sounds from the bass violins and timpani gradually establish a sonic fog. The cellos join with questioning phrases. The rest of the orchestra slowly falls into playing until the music becomes louder and higher. Concertmaster Peter Frajola briefly accented it all with a narrow, but not piercing high note and that was followed by a veritable sonic whirlwind from all forces. The whirlwind transitioned into a complex subterfuge of sorts until it was swept up by a groundswell of sound that burst out and exploded like fireworks with lots of percussion and percussive sounds going off in every direction. Next came a mysterious tone from principal oboist Marty Hebert, followed by flutes that created the sound of lightly rustling leaves. Kyle Mustain’s English horn solo established a wandering line which held forth again a blur from the violins. Somewhere along the way principal violist Joël Belgique prodded everything with the aggressive solo, and he was joined by the violas and brass. After another blast from the orchestra came an ominous passage from the brass, which then fell into a heavy rhythm. Next came yet another blast followed by a discordant cry. Principal timpanist Jonathan Greeney used all six timpani, but then the sound died away until only two harps could be heard. A high-pitched duet by Frajola and Erin Furbee brought in the rest of the orchestra, but that sound faded away until all you could hear in the final measures were the tubular bells that started the piece. I have to admit that I really enjoyed hearing Glanert’s “Shoreless River.” It seemed to describe things that were close and distant, perhaps inside and outside as well. It was absolutely engaging to hear all of the sonic qualities of this piece. Perhaps the orchestra will be able to record it sometime in the near future. Before the concert began, Kalmar brought Kathryn Gray to the front of the stage. Gray retired from the orchestra after playing in the violin section for 36 years. She received a very long round of applause from all corners of the hall. Making skillful use of projected titles and brilliant acting by an exceptional cast, Portland Center Stage’s production of “Chinglish” effectively used comedy to heighten and expose cultural differences on opening night (January 17th) at the Gerdling Theater. “Chinglish,” written by David Henry Hwang, is a thoughtful comedy about Americans and Chinese, and while the audience on Friday evening laughed heartily at the mangled style of English (aka Chinglish), it also realized that the Americans know basically nothing about Chinese languages and culture, and that this culture can present a strong critique of the American way of doing things. So, as the story about an American who attempted to do business in China unfolded, the humor melted away as serious situations developed over cultural misunderstandings, and the audience was left to reflect on it all. As the play progresses, the businessman dumps his translator/consultant and falls in love with a helpful government official who happens to be married to a judge. That leads to complications and revelations on all sides in this intriguing tale. The audience learns a thing or two about the Chinese perspective on love, marriage, and family, and it’s not the “romance above all else” concept, which is part and parcel of the American dream. Peter O’Connor leads a stellar cast as the clueless but quick to learn American businessman. Tina Chilip is thoroughly enticing as the government official who becomes the businessman’s paramour. She is the one who provides the most opportunity to understand the Chinese mindset. As the translator and nascent middleman, Jeff Locker was terrific and his brief foray into Chinese opera, singing a duet in falsetto with Jian Xin (playing the government minister), was a hoot. Playing two roles each, Lily Tung Crystal, Rachel Lu, and Yuekun Wu were spot on and totally convincing. Kudos should be given to May Adrales for directing a stellar production. The unique blend of comedy and serious cultural observations in “Chinglish” reminds me of some of George Bernard Shaw’s work. It will be interesting to see how “Chinglish” does down the road. Hwang has received much acclaim as a dramatist for his plays, including the Tony-award-winning “M. 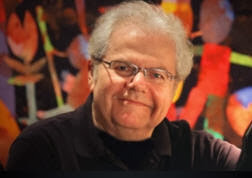 Butterfly,” “Golden Child,” Yellow Face,” “FOB,” and “The Dance and the Railroad.” He is also considered one of America’s best librettists, having collaborated with Bright Sheng, Philip Glass, Osvaldo Golijov, Unsuk Chin, and Howard Shore. The San Francisco Opera company has recently announced that it has commissioned Bright Sheng to compose "Dream of the Red Chamber" for a fall 2016 premiere with an English-language libretto by Hwang. In the meantime, I highly recommend that you experience the Portland Center Stage production of “Chinglish,” which runs through February 9th. 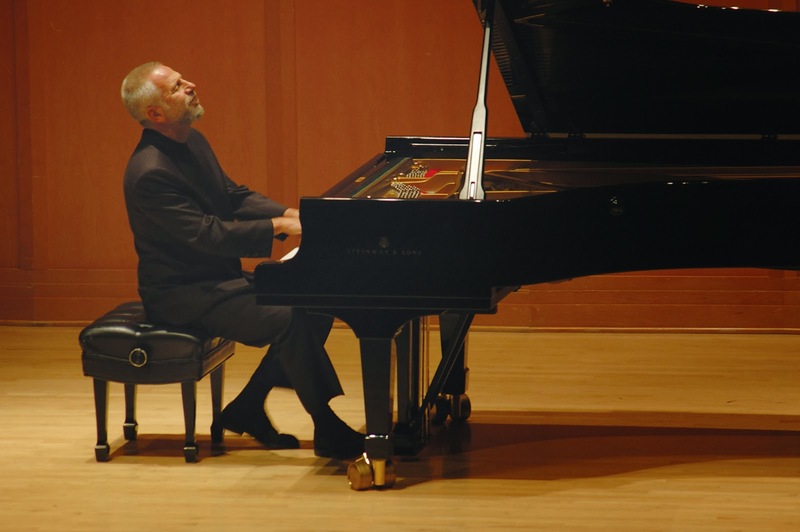 Emmanuel Ax, one of the most popular pianists with Portland audiences over the years, returned to the stage at the Arlene Schnitzer Concert Hall to play J.S. Bach’s D minor Concerto and Richard Strauss’s “Burleske” with the Oregon Symphony. The performances I heard on Monday night (January 13) were polished and a delight to hear. The program, conducted by Carlos Kalmar, included Beethoven’s “Grosse Fuge” and Eighth Symphony. Ax, the Grammy-award winning pianist and promoter of new music, decided to go retro for this concert with pieces by Bach and Strauss. His Bach was river-flowing-smooth, and he never lingered in a self-indulgent way on any of the notes. His performance was a conversational and virtuosic conversation between him and the instrumentalists of the chamber ensemble-sized, orchestra, which Kalmar guided meticulously without a baton. Strauss wrote Burleske in 1885 and 1886 when he was only 21 years old, and it contains a lot of showy, virtuosic flourishes, which Ax played with élan. Ax handled the florid scales with ease and created all sorts of bright colors, making fast sections of the piece gleam and sparkle. The slow section featured an outstanding duet in which principal timpanist Jonathan Greeney perfectly matched the light touches that Ax played. In the lighter passages, the orchestra applied brushes of sound and in the stronger statements they turned up the heat – all of which enhanced the performance. As an interesting aside, it was Ax who last played it with the orchestra in 1989. Trimmed down to a strings-only chamber music ensemble, the Oregon Symphony opened the concert with a scintillating performance of Beethoven’s “Grosse Fuge.” Since the piece was originally written for string quartet, it was long after Beethoven’s dead that Felix Weingartner made an orchestral arrangement. Basically, as Kalmar pointed out in his prefatory remarks, Weingartner added bass violins to the piece and didn’t touch much else. To my ears, his scheme worked exceptionally well. The strident, leaping, and edgy lines that mark the main theme jumped out and gripped the audience by the lapels. The harshness of that theme contrasted well with the soft and almost lush theme and the lighthearted, jokey theme that came later. One of the most intriguing points in the piece was the series of five pauses, each interspersed with a brief passages. It was as if Beethoven were switching train tracks in his head. The concert concluded with Beethoven’s Symphony No. 8. The first movement alternated between punchiness and gracefulness. Sometimes they seemed to mash together at the same time. The dynamic contrasts were strongly conveyed throughout the piece. One of the highlights was the wonderful trio between the horns, principal clarinetist, and principal cellist in the second movement. Principal bassoonist Evan Kuhlmann’s many solos were lovely, but they need to be a little strong to cut over the orchestra. The horns seemed run a little rough here and there, but the speedy last movement was a treat for all in the hall. My preview of this weekend's Vancouver Symphony concerts appeared in The Columbian newspaper today. 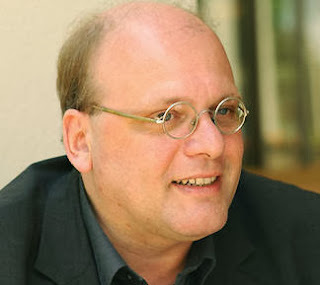 The big news is that former Seattle Symphony music director Gerard Schwarz will conduct the concerts (Saturday afternoon and Sunday evening). It's a historic occasion for the orchestra, and I'll bet that they will sound better than ever. Putting the action squarely in the Italy during the reign of Mussolini, the Seattle Opera production of Verdi’s “Rigoletto” didn’t miss a beat with solid singing and acting at McCaw Hall on opening night, January 11th. This “Rigoletto,” with sets designed by Robert Dahlstrom, costumes by Marie Anne Chiment, and directions by Linda Brovsky, was a remounting of the production that Seattle Opera premiered in 2004. It has since seen successful runs at the opera houses in Pittsburgh and Cincinnati; so it was high time that Seattle audiences got to experience it again with a different cast. Originally taken from a play by Victor Hugo, “Rigoletto” is a melodrama in which a hunchbacked but quick witted jester (Rigoletto) tries in vain to sequester his teenage daughter (Gilda) from the clutches of his employer, the Duke of Mantua. Rigoletto is duped into helping the Duke’s men abduct Gilda, and, in the end, she sacrifices herself so that the Duke isn’t killed by the assassin (Sparafucile), who Rigoletto hired. Despite the story’s flaws, Verdi’s evocative music hits the emotional content straight on and heightens the tragedy. That’s why this opera has always been one of the most popular in the repertoire. 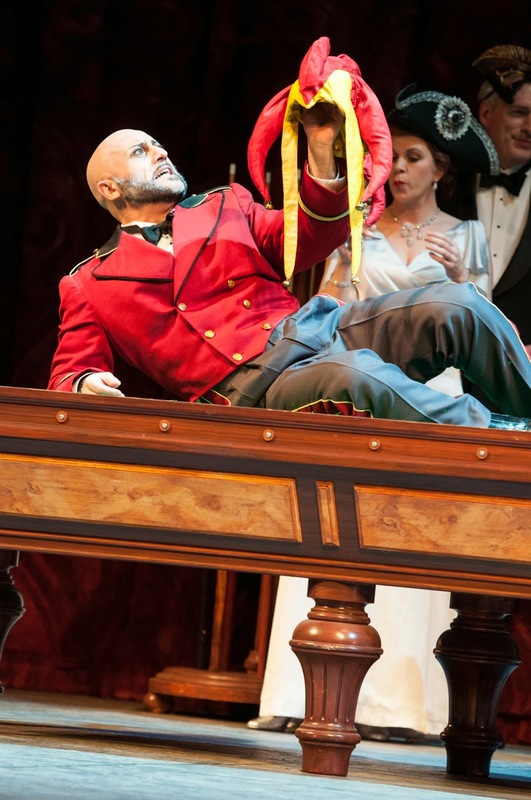 Baritone Marco Vratogna embodied the title role with changing from one moment to the next to express gravitas, pride, pathos, suspiciousness, self-loathing, and vengeance. As the opera progressed, his voice seemed weighted down by a sense of doom. Nadine Sierra was the real deal as Gilda. She had sweetness, power, agility – just plain gorgeous singing. She could narrow her voice and bring it down to a hush or open it up so that it could soar over the quartet ensembles and orchestra. Francesco Demuro had a natural swagger as the Duke and his voice rang out, but it never seemed free at the top. He started out well with a robust “Questa o quella” but his “La donna é mobile” felt forced. Then again, sometimes I think that our ears are jaded by the many superb recordings, and perhaps we expect way too much. Andrea Silvestrelli’s Sparafucile was absolutely awesome. The first few words that came from him were so spooky and resonant that they set everyone’s ears on edge. From that point onward, the audience followed everything that he sang and did like a hawk. Another attention getter was Sarah Larsen’s sultry Maddalena, who sang beautifully while being pawed by the Duke. Donovan Singletary distinguished himself in the role of Monterone, the count who is pistol whipped by the Duke’s men. Wonderful contributions by Doug Jones, Carissa Castaldo, Glenn Guhr, Barry Johnson, Emily Clubb, and Michael Dunlap rounded out the strong cast. Act II featured the most striking scenery of the opera. It depicted a grand room in the Duke’s palace with huge portraits of the Trojan Horse and conquering Greeks in the background. The foreground was dominated by a large portrait of the Duke, reclining in opulence with a sense of self-satisfaction. Linda Brovsky’s directions made the story quite clear, and some of the added touches were very effective, like the fascistic salute of the Duke’s men when they mocked Rigoletto. But it was odd when – in the scene where they left the room after Gilda was reunited with her father – one of the men demonstrably placed his pistol on a table. None of the men of that ilk would ever leave a weapon behind unless they were dead drunk. Rigoletto, crazed with vengeance picked up the gun. I thought that he might take aim at the Duke’s portrait but instead he aimed it briefly at Gilda. That worked dramatically, but it still seemed weird. Conductor Riccardo Frizza led the Seattle Opera Orchestra with a keen sense of dynamics. The singers were always heard above the orchestra, even when all were going full tilt. It would be difficult to find another orchestra that could play this music any better. Overall, this interpretation by Seattle Opera of Verdi’s timeless melodrama fit the Italy of “Il Duce” like a glove. Perhaps someone will update it next time to “bunga bunga” era of Silvio Berlusconi. 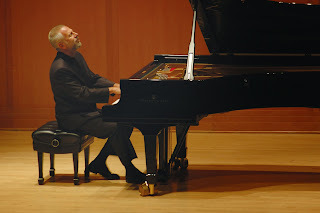 Portland Piano International welcomed acclaimed pianist Vladimir Feltsman to the stage of Portland State University’s Lincoln Hall last Monday night (January 13th). Having presented a dazzling program of large-scale works by Bach, Liszt, and Scriabin the night before to a sold-out audience, Feltsman brought to the piano a collected, focused, and powerful energy throughout Monday evening’s performance of Haydn, Schubert, and Schumann. The program kicked off with Joseph Haydn’s Piano Sonata No. 31 in A-flat Major, masterfully crafted by Feltsman with a bright, crisp, and articulate touch. After a vigorous first movement, the intricately felt suspensions and intimate dialogue between the songful voices of the second movement carried the audience into a transcendental, trance-like state. His full, clear tone and brilliantly robust virtuosity returned in the sonata’s playful finale movement. Feltsman would later announce that he had sent his program in a year ago and hadn’t double-checked it since (the program had listed Haydn’s Sonata in C Minor). Even if it was the “wrong Haydn sonata”, the mix-up was a happy accident in its purest, most vividly imaginative form - a truly pleasant surprise. Feltsman brought the first half to a close with Franz Schubert’s Sonata in A minor, drawing out sublime tones and textures from both the upper and lower registers of the instrument. These features of his artistry were especially prevalent in the second half of the performance. Schumann’s “Arabeske” was exquisitely sensitive and patient. Feltsman illustrated Schumann’s “Carnaval," a monumental work which demands the greatest technical skill and profound imagination to bring Schumann’s character portraits to life. Each character made an appearance with brilliant bursts of color and a stunning array of personality: vivid, grand, touching. Monday evening’s performance radiated intimacy - the type of intimacy that few artists manage to bring to the concert hall. Feltsman emitted the sort of aura to be found only within the finest balance of intelligence and human sensitivity, which shone through an encore of Schumann's "Bunte Blätter" ("Colored Leaves") - a perfect closure to an evening of truly personal music-making. Ruta Kuzmickas is a 17 year old pianist and studies with Dr. Jean-David Coen. Ruta has appeared as a soloist on NPR's From the Top and is a recipient of the Jack Kent Cooke Young Artist Award. She was featured by the Aspen Music Festival in a performance at Harris Concert Hall in 2013 alongside distinguished pianist Ann Schein. Ruta is also a two-time winner of MetroArt's Young Artists Debut: The Van Buren Concerto Concert and was named a 2014 Winner by the YoungArts Foundation. It’s all in the timing. I’ll bet that some of the members of the St. Lawrence String Quartet were thinking that thought to themselves when they arrived in Portland earlier this week for a couple of concerts. Here in P-town, it was a balmy 45 degrees while the upper northeast portion of the United States – as well as most of all of Canada – was frozen over with record cold temperatures. Speaking of warmth, the last time that I had the opportunity of hearing the SLSQ was in Charleston, South Carolina at the Spoleto Festival USA back in June of 2007, and I’ve never forgotten the ensemble’s sound and the extra-animated playing style of first violinist Geoff Nuttall. So, it was with some heightened anticipation that I went to Lincoln Performance Hall at Portland State University on Tuesday, January 7th to listen to the SLSQ perform the second of two concerts that were sponsored by the Friends of Chamber Music. In playing a program of works by Haydn, Martinú, and Dvořák, the SLSQ drew from a large sonic palate and created a sumptuous sonic experience. The SQSL left no note unturned in its performance of Haydn’s Quartet in C Major (aka “Emperor”), one of the most famous pieces in the repertoire. The foursome (violinists Nuttall and Mark Fewer, violist Lesley Robertson, and cellist Christopher Costanza) constantly mined its lovely passages, creating exquisitely matched tones, taking the noble themes at an unhurried pace, and achieving lift-off in the presto-finale. Martinú’s Quartet No. 5, a dense, emotional roller-coaster of a piece, received an incisive interpretation by the SLSQ. Quavering high melodic lines were projected by Nuttall over a rough tonal surface created by his colleagues. There were moments when the ensemble collectively descended into the depths of despair and then climbed out to a high place that had a glimmer of hope. This plunge into darkness and then ascent into something a little lighter but not explicitly joyful gave a piece a sense of unfulfilled relief. The program ended with a thoroughly engaging performance of Dvořák’s Quartet in C Major with its melodically-charged lines. From the spring-like opening movement (evoking flower, birds, and sunshine) through the graceful melodies of the second to the conversational third and finally the vivacious and wild fourth movement, the SLSQ entertained the audience with superb playing. It was plain fun to hear the quartet go all out with musical guns a-blazing. The sustained applause brought the ensemble out for several bows, and they responded by performing the gypsy-like minuet from Haydn’s Opus 20. But before they played it, Nuttall challenged the audience to try to find the three-beat rhythm of the piece. Popa Haydn had a habit of messing with the listeners and the quartet’s playing proved that to be true once again. Rich tones, elegant phrasings, heightened dynamics… you name it, The Ensemble, delivered it outstandingly in a concert of sophisticated 20th and 21st Century Christmas music on Sunday afternoon (December 29) at St. Stephen Catholic Church. You might have thought that some of the pieces would be austere, distant, and very dry, but it was nothing of the sort with many of the works inspired by texts and the music of the Renaissance. The program, assembled by The Ensemble’s artistic director Patrick McDonough, drew from a mixture of well-known and obscure composers, including Benjamin Britten, Stephen Paulus, Jake Runestad, Kenneth Leighton, Hugo Distler, Niels La Cour, John Tavener, Craig Carnahan, Herbert Howells, Peter Warlock, and Abbie Betinis. All of the pieces were sung expertly and a cappella by nine singers – three men and six women. With most ensembles this would’ve caused balance issues, but two key factors kept the balance exceptional were McDonough’s leadership and the singers’ keen ability to listen to each other. They also exploited the lively acoustic of St. Stephen to tremendous advantage so that some phrases were louder than others and the soloists, almost always, could easily be heard. Exquisite phrasing was evident right away with the lightened touch at the end of the Alleluyas in Britten’s “A Boy Was Born,” and with the climatic buildup at the very center of that piece with the words “He let himself, a servant be, that all mankind He might set free.” Britten’s “Chorale after an Old French Carol” also received impeccable treatment, complete with resplendently odd dissonant tones, so that the piece had a direction and an arc that was easy to understand and experience. “Splendid Jewel” by Stephen Paulus boasted a lively vocal fanfare-like refrain that contrasted well with the straighter sounds in the verses. “Sleep, Little Baby, Sleep,” by Jake Runestad featured beautifully shaped and soothing lines that made this lullaby a gem. In Kenneth Leighton’s “Of a rose is all my song” the choir held down an anchor of sound while soloist Catherine van der Salm let her soprano voice soar into the vaulted ceiling of the church. Hugo Distler’s “Choral Variantions on “Es ist ein’ ros’ entsprungen” was engagingly sung by the choir, but the real highlight was Laura Thoreson’s radiant solo (as the voice of Mary in Variation Three). It was strong, colorful, expressive, and absolutely golden – one of the very best mezzo voices that I’ve ever heard in Portland. The concert ended with three pieces by Abbie Betinis: “In This Tyme of Chrystmas,” “Dormi, Jesu,” and “The Babe of Bethlehem.” Diction may have suffered a bit at the end of the first piece, but he harmonics were complex and lovely. The polyphonic “Dormi Jesu” had a slow and warm effect and juxtaposed well with “The Babe of Bethlehem,” which had a much faster tempo and strong melodic lines. Some of the solos by soprano Mel Downie Robinson, alto Kristen Buhler, and tenor Cahen Taylor got a little lost in the wash of sound, but the joyful nature of the piece turned the atmosphere from one of contemplation to praise and the audience responded with long, heartfelt applause.